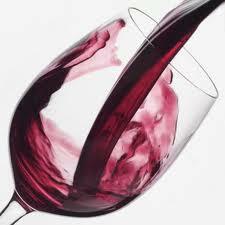 We are passionate about wine and the flavors of our land! The centenarian grapes of Madrid are illustrated by their deep cherry color, their explosion of floral scents, their elegance and Mediterranean berry-herb combinations, including only a hint of orange citrus. Alnd at the same time, your mouth is filled with a light , even crunchy sensation, with the acidic vertebral spines of the grapes, flavorful, almost saline, and with a reminder of when rain falls lightly on natural slabs granite. Wines full of excitement, elegance and complexity. Let us take you to experience this. Situated only 50 kilometers from Madrid, in the nearby surroundings of Aranjuez, the Regajal vineyard is found in one of the main butterfly conservatories of the world. It is a truly privileged land, where wine is born within no time, and has been known to surprise and conquer even the most exquisites of palates. This is the first in the region with 97 point parker. Tagonius produces a wine which allows an emphasis of cream coffee, mocha, zarzamora, and dark chocolate to come through. In both the aromatic and the tasting phase, it demonstrates that it is tightly compact, giving good reason to keep it well-closed. From the first taste until the final attack, it is sweet, full, creamy and rich in both matter and labor. The sensations emanate from vintage mixed with a fresh and balsamic character. The first wine to have entered the market from Licina – in 2006 with 91 Parker points – was confirmed by D.O. Wines de Madrid to have definitively reached the point of maturation. 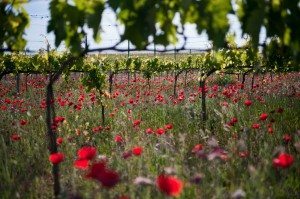 Located in Chinchon, the Licinia winery has an ecological and very limited production. Two-thirds are Tempranillo and the rest are Cabernet de Sauvignon, Syrah and Merlot, which always reach a quality that is above others. It has turned itself into one of the most well-known labels of the D.O. Wines of Madrid. Another gem of one of the best national enologist Telmo Rodriguez. Montazo is a wine that has been elaborated with the affectionate plantation of mature grapes on ground board and granite sand – rich in minerals – in the quaint Madrilenian village of San Martín de Valdeiglesias. It is a smooth and elegant wine, with great fruit content, sweet upon taste and complete with a long finish. Comando G is a young project, of youth who work with the grapes of La Sierre de Gredos. Their wines are fresh, well-made, enjoyable, elegant, and illustrated by their youthful and uninhibited image. A big part of the market is tired of wines that are overdone and overfilled with wood, and they are hoping for a new discovery!